A brand new year! Anything is possible. We’re wiping 2018’s slate clean, resolving to be better in 2019, and—what’s that? The first news story of the year is Bethesda broke Fallout 76 again? Ominous. That news, plus...well, not much else. We’ve rounded up what few stories we could find this week though, including a potential Catherine remaster and the disappearance of Lego: Lord of the Rings, as we slowly ease into the new year. This is gaming news for December 31 to January 4. Let’s start 2019 off right with a free game, shall we? The Epic Games Store is currently giving away various games, one at a time, in order to kick-start adoption of the new platform. That’s potentially good news for you, if you’re open to installing another launcher. And the latest? 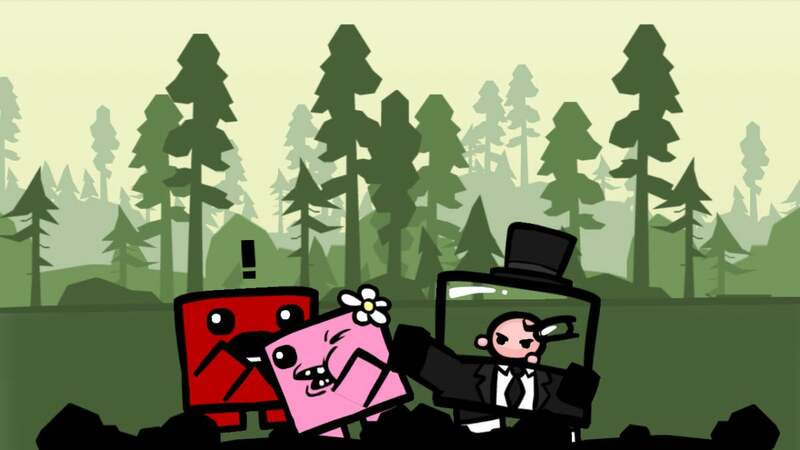 The ultra-hard platformer Super Meat Boy is free through January 10. A nearly nine-year-old game isn’t quite as exciting as the previous giveaway, Subnautica, but hey: It’s still a free game. 365 days, 365 free games. Each is a bite-sized experience, maybe 5 or 10 minutes tops, but I expect some neat ideas will emerge from it. The only downside at the moment is that the launcher downloads games in 500MB blocks at the beginning of each month, rather than installing games a day at a time. That’s a bit odd, but not enough to put me off the experiment. And speaking of free games, Humble gave away both Lego: Lord of the Rings and Lego: The Hobbit in December—and now we know why, I guess. As of this week, both games have been removed from Steam, Humble, and so on. If you own the game you can still access it, but neither is being sold. That usually indicates a rights issue, like when Mafia 2 and Alan Wake disappeared. What that rights issue is, in this case? No idea, but until it’s resolved you won’t be able to purchase either game. And it may take a while! Alan Wake was missing for over a year before all the contracts got hammered out, so we’ll see what happens here. Sega’s made an effort these past few years to bring some of its previously console-only releases over to PC, which makes me happy—both from a preservation angle and from a “Oh yeah, that game!” angle. Vanquish, Bayonetta, and Yakuza 0 all made it over in 2018, with more Yakuza (presumably) on the way. Rocket League spin-offs still strike me as funny. Every genre’s prone to cloning of course, but in the case of Rocket League...it’s just so blatant, I guess? There’s nothing else like Rocket League, except all these games trying so hard to recreate Rocket League. Anyway, the latest is Grand Theft Auto Online, of all things. This bit of news actually happened over the holidays, but log on now and you can play “Bomb Ball,” which is basically Rocket League in the GTA engine. You can catch a glimpse of it in the trailer below. It’s the one with all the balls. Dark Souls developer From Software sure is busy these days. Sekiro: Shadows Die Twice is due to release in March, but according to an interview Hidetaka Miyazaki did with 4Gamer.net (via Gematsu), the Dark Souls studio has two additional games in development right now as well. They’re apparently Dark Souls-esque, though like Sekiro they presumably transplant those ideas to new settings. Hell, maybe one of them is Bloodborne 2. Fallout 76 began 2019 the same way it exited 2018: A bit of a mess. Players began noticing January 1 that the nuclear missile silos, essentially the “end-game” for Fallout 76, were broken—locked, with a reset counter of 9,999 hours or approximately 400 days. It almost feels like the missile silos fell prey to a Y2K bug, 19 years late. Or a Y2K19 bug, if you will. Anyway, parts of the quest leading up to said missile silo interactions also broke, Bethesda pulled the whole game down to fix it, and bingo it all works as advertised again. Still, a pretty ominous start to 2019, yeah? It’s like resolving to go to the gym more in 2019 and then spraining your ankle on the way there or something.